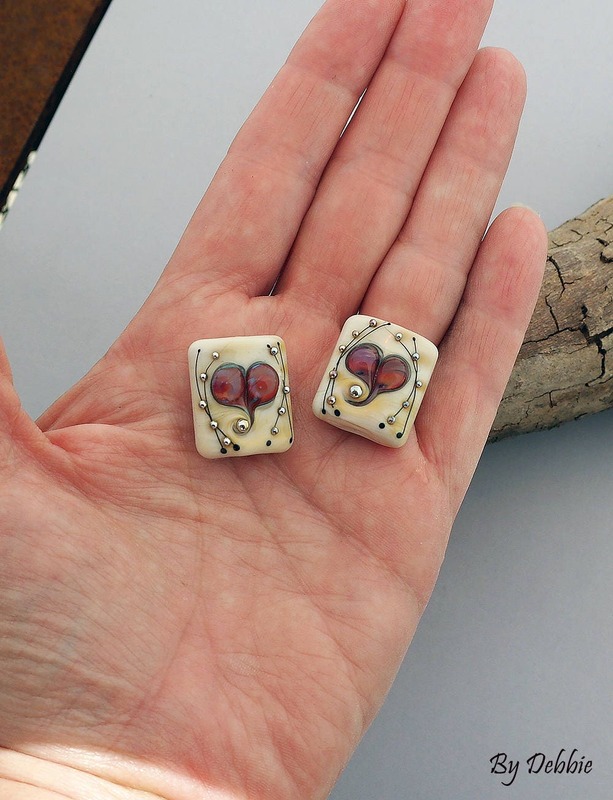 "Square Hearts" A beautiful pair of ivory colored handmade lampwork squares. Accents include silver glass hearts (Colors of hearts will vary from purples, blues, red, green or teal) with fine stringer work and silver glass dots. Measurements are roughly .75" (19 mm) in diameter for each square. 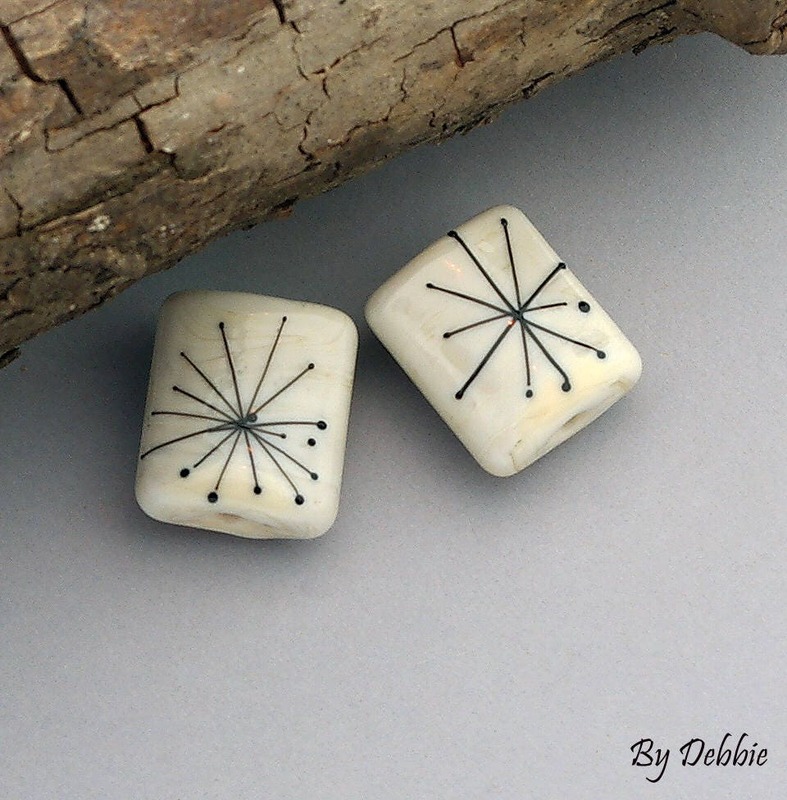 My beads are good for jewelry making projects and craft projects. Keep in mind that this is a made to order pair and because so it will be unique but similar to the pictures. Please give me 2-4 weeks to finish your beads. If I need to order any special items for your beads, then that may increase the 2 week time frame. 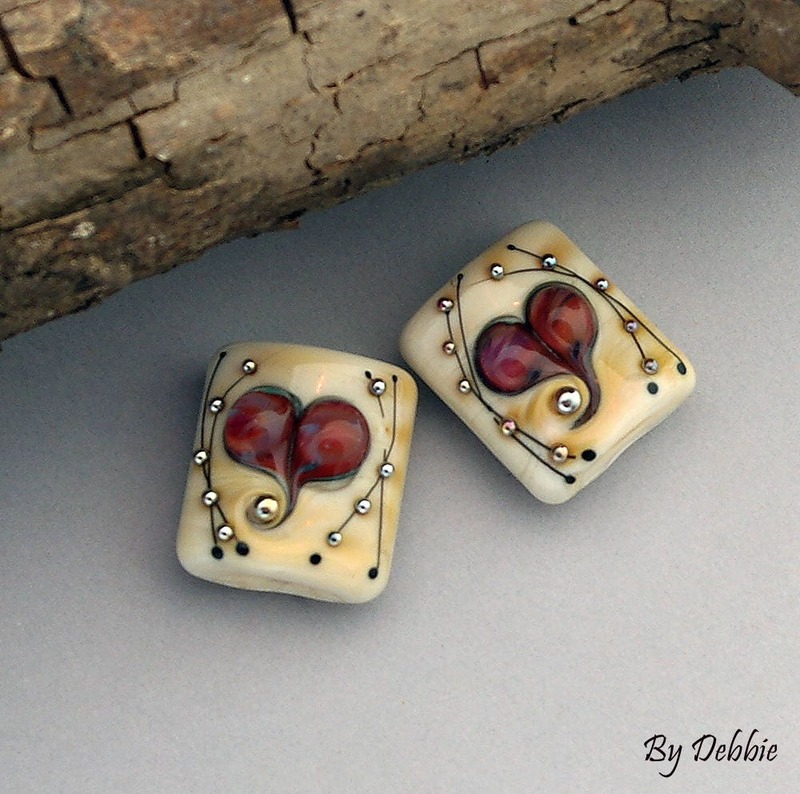 Gorgeous heart beads,such beautiful colours and details.Thank you Debbie :).